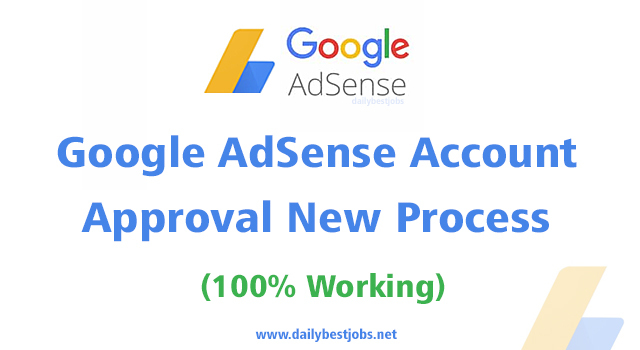 Hi Guys, this is a latest article on Google AdSense Account Approval Process after November 2018 updates with the new process to approve your Adsense Account today. You already aware that AdSense is one of the best contextual advertising networks. The Adsense approval process was simple till now. Just need to create a new AdSense account, your account is start review, Adsense team may accept your application, and after you can implement ads on your site and start to making money. After getting an approval of Adsense Account, you need to create your first AdSense ad & add the code to your blog, that may be showing blank ads initially but later start visible. In this whole process, it would take 48 hours to review your Adsense Account application. Once your application is fully approved, it would start showing the ads on your blog & ready to start making money. Register for new AdSense account by visiting AdSense.com. Enter all your correct information such as Name, Address, & Website URL. Login the AdSense account to creates AdSense codes & place that codes into your blog sidebar. Further, Ads will be shown as blank until the final approval process which doesn’t finish. It may take upto 2 weeks for an approval. Also, make sure not to remove ads from the blog. After the final AdSense approval, you will get the confirmation email. Now, log in to your AdSense account, & enter the Pin once you receive it. Congratulations, you completed all these steps. Once your account may reach $100, Google will make your payment of earnings. I highly recommend you to enable direct bank transfer for the AdSense payments. This will definitely help you to get your domain ownership and it's hard to get the Adsense those who are signing up for someone else website/blog. However, if your account is yet rejected for many times, then try out the AdSense alternatives networks. Hope this post would be helpful to you know Google Adsense Account Approval Process December 2018 & adding the AdSense codes on your WordPress or Blogger blog too. Share this post with your friends & Subscribe your email id to receive the latest daily best updates from us. Tell us in the below comment section if you face any issues to apply for new Adsense Account & share your views on How was your experience with the new AdSense approval process? and Did you signed up for a new Adsense Account?